Water authorities in Flint, Mich. told their customers and water users to continue drinking their tap water even though strange odors and colors were reported. Then residents were advised to let the water run for 5 minutes before using it and to install lead- removing water filters. 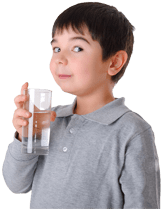 Then county officials issued an emergency advisory recommending that people not drink the water unless it was tested for lead or was filtered.